Developing the Talents of the Next Generation, a study of thousands of UK businesses by the British Chambers of Commerce, found overwhelmingly that businesses believe young people need to be more prepared for the workplace when they leave the education system. In particular there is a need to balance academic study with the development of soft and core skills, including: problem solving; team-building; transversal competences – such as learning to learn, social and civic competence, initiative-taking, entrepreneurship, and cultural awareness. 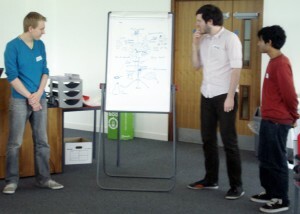 This is enterprise education. Learn more about enterprise in education here. Through ICE’s unique International Enterprise Illumination Programme young people are encouraged, enabled, challenged and supported to build bright futures through enterprise. The programme is designed to respond to calls for a new dimension to the education of young people, through switching on their entrepreneurial consciousness, and developing entrepreneurial skills and acumen which will pave the way for achieving success in their lives and future careers. The International Enterprise Illumination Programme has a strong track record of introducing the powerful principles of entrepreneurship into the everyday thinking of young people aged between 12 and 18, and for giving them the extra confidence and skills they need to have the chance to shine. 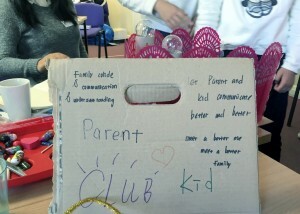 The programme is designed and delivered on an options basis, providing the opportunity for students to engage in a multi-layered, progressive series of enterprise learning opportunities, which is always custom-designed to suit the exact cultural and educational needs of each group of young people. We are able to combine world-class enterprise teaching, practical enterprise-based participation and education-based international entrepreneurship tours and exchanges, which individually and collectively have a transformational effect on both students and supporting teachers. ICE Enterprise Camp provides an immersive enterprise experience for young people for between 4 and 10 days, although most organisations choose to run the programme for a week, usually during school holidays. Enterprise Camp can be run locally, or for students aged 14 to 17 it can be combined with a powerful cultural and educational experience, through our partnership with the world-renowned Durham University, UK. 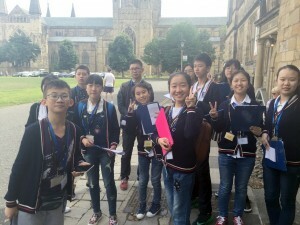 Durham Enterprise Summer School is a residential programme located at St John’s College and St Aidan’s College at Durham University, extending the experience to between 7 and 10 days. Entrepreneurialism is within us all, but to fully realise our enterprise potential, to push our own boundaries and seize the opportunity to really shine in our lives and careers, we need a stimulus. Enterprise Switch™ is a powerful enterprise teaching programme which is geared to switching on the entrepreneurial consciousness of young people, to pave the way for achieving success in their lives and future careers. Teaching programmes provide between 32 and 150 learning hours over a period of between 4 and 16 weeks. Delivery approaches are flexible, with an emphasis on fulfilling your individual students’ needs; we can embed the programme into the school timetable; provide extra-curricula teaching; deliver modular programmes during holidays and weekends; or design a combined approach if preferred. Creating or participating in a new venture to generate income, or to give back to the local community, is something that many of us aspire to do at some point in our lives. Enterprise Breakthrough uniquely enables young people aged between 12 and 18 to do just that, whilst providing the opportunity to simultaneously develop business knowledge, entrepreneurial skills and social awareness. Teaching programmes provide between 64 and 340 learning hours, and delivery can be designed to suit your individual students’ needs, over a period of between 2 and 26 weeks. The ICE Enterprise Illumination Programme is delivered by highly qualified and experienced team of professionals who have a passion for enterprise in education. For schools that wish to deliver the programme, or elements of it, themselves, our Teacher Training programmes are the answer. Teacher training is designed to enable educational institutions to offer ICE Enterprise SWITCH™ and ICE Enterprise BREAKTHROUGH to students on an ongoing basis, through building the capacity of teaching staff to effectively deliver the programmes. W e would usually take a practical approach to teacher training, supporting staff to apply learning through supported participation in the delivery of the programmes. 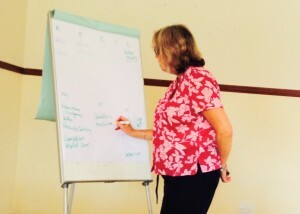 Once teaching staff have successfully completed the training process, optional extended mentoring support from members of the ICE team can also be provided, complemented by our online learning portal; we have found that teaching staff have valued this additional support as it increases their confidence to deliver the programmes independently.